Joshua Conklin, mortgage lead publisher shares the process for generating TCPA compliant mortgage leads. Their are specific layers to generating both quality and compliant leads in today's mortgage industry. Don't roll the dice with your marketing dollars and ensure your marketing is in compliance with the FCPB. Here are some key considerations when working with a mortgage marketing company. We collect data from borrowers in your states who are actively looking for reverse mortgage assistance. All inquires are customer initiated and expect to hear from a mortgage professional. Our advertorials on senior living websites educate the prospect about the myths of reverse mortgages and outline some of the key benefits. If the prospect wants to learn more and speak with a licensed reverse mortgage adviser they click through to one of our landing pages and submit their inquiry. Upon submission the lead submits to SecureRights mortgage licencing and is validated in milliseconds. Borrower inquiries are screened using NeuStar technology and matched to meet your specific criteria using two back-end lead verification and lead scoring systems. All leads meet the conditions of the FTC Do Not Call registry. Online Marketing Gurus is a nationally licensed mortgage marketing company in compliance with TCPA and all federal regulatory. 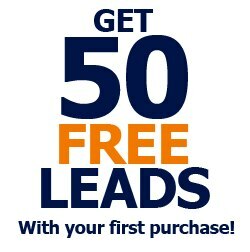 Each lead has a Trusted Form certificate providing 100% transparency and compliance. If you have any questions about our process please feel free to email or call me directly. We look forward to working with you and earning your long-term business.